I’m spending the day at VMware’s beautiful Palo Alto campus headquarters to attend and discuss the launch of their new vCloud Hybrid Service offering. 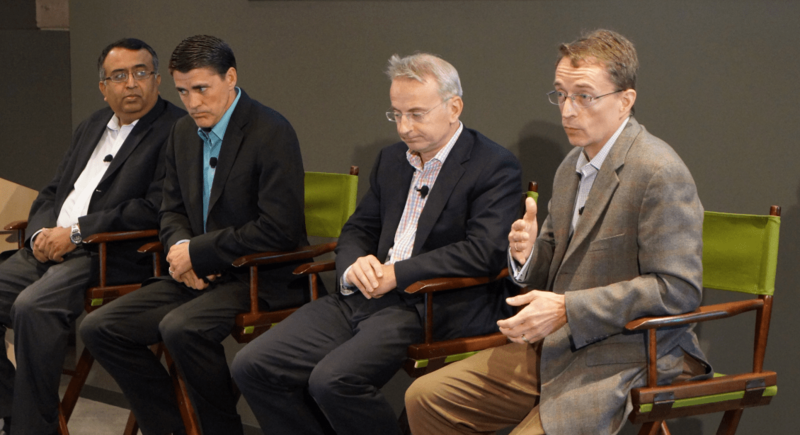 Both Pat Gelsinger, CEO, and Bill Fathers, GM, Hybrid Cloud Services are giving the press, users, investors, and even many of their employees a first look at the future of VMware’s software defined data center solution (SDDC). 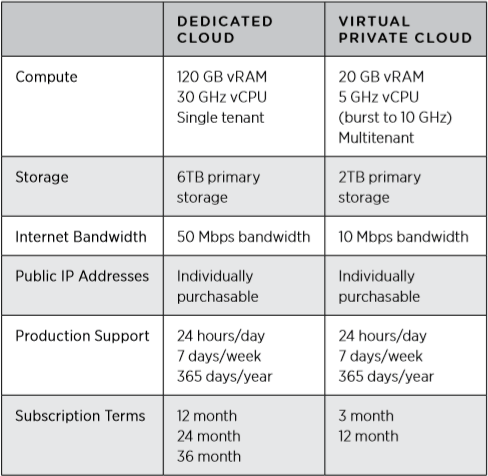 Not be confused with the VMware Cloud Evaluation, which was made available to the public in a “test drive” mode earlier this year, the vCloud Hybrid Service (vCHS or a slang version being “vChess”) offering is fully production ready and offers two different consumption models: Dedicated Cloud and Virtual Private Cloud. During the presentation, Gelsinger noted that he expects consumption of both offerings in parallel by customers. 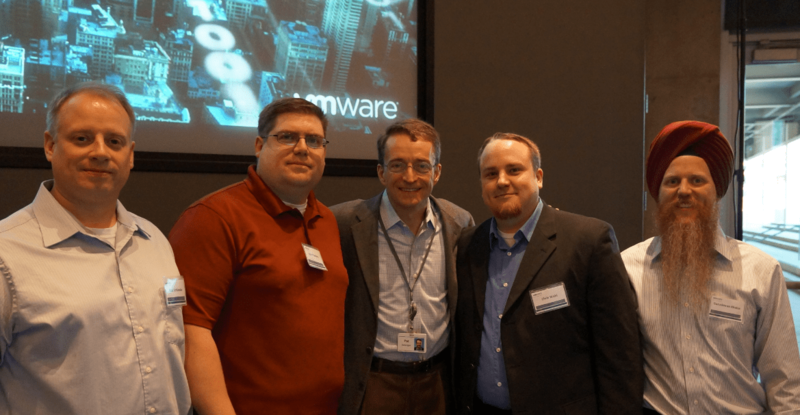 Note: All travel and incidentals were paid for by VMware to attend this event. No other compensation was received. The Dedicated Cloud offers a nice chunk of compute and storage in an isolated environment for a customer that has a use case that requires it. The Virtual Private Cloud, on the other hand, is a multitenant environment with burstable compute. Both plans offer similar production support but the dedicated model requires a subscription investment of 12 months or more. Some ideas for use cases could be a Dedicated Cloud area for more stable, predictable workloads, with the Virtual Private Cloud offering a landing point for more dynamic applications or new development. You can take a look at all of the pricing options on this page. During a very impressive live demo, held by Mathew Lodge ,Vice President, Cloud Services, we saw a Hybrid Migration via a Stretched Deploy. 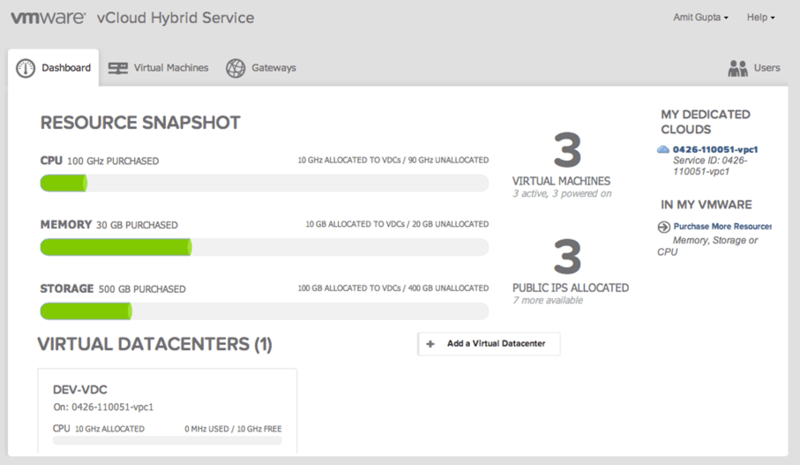 In the demo, a virtual machine was migrated from on premise private infrastructure over to the vCloud Hybrid Service. While the audience did not get to actually see that the networking was operational both before and after, I will give a lot of kudos to the fact that the entire workflow was relatively straight forward. Additionally, the entire process was executed via a connector within the vSphere Web Client. I’m also quite pleased to see that vCHS will be available via the channel, especially since my employer (Ahead) is part of the Lighthouse program. This will mean that I’ll get my hands dirty with the service with my role as a Technical Architect when a client can benefit from extending their private infrastructure (or cloud) into a hybrid cloud model. In the long run, many companies that use VMware virtualization products have worked to develop a strong relationship with a member of the channel, and it’s a smart move on VMware’s part to allow that interaction to continue with vCloud Hybrid Service. There’s still a very long list of service providers who provide public cloud fueled by vCloud. In fact, a large chunk of them also offer a test drive to get exposure to what the vCloud Powered Service looks and feels like before cutting a PO. One example, Bluelock, has both produced training materials for a TrainSignal course entitled “VMware vCloud Director Organizations” (kudos to Jake Robinson) along with a nifty Recovery-as-a-Service offering that leverages Zerto, whom I have written about from a past Tech Field Day event. Want to get some great video training on vCloud Director 5.1? I have created a course entitled VMware vCloud Director 5.1 Essentials with TrainSignal with hours of in depth technical content in a live lab format! vCloud Hybrid Service has the ability to really fill a void that has existed for consumers of VMware vSphere and vCloud – a mostly non-invasive solution that enables them to change from a builder to a broker of IT services. As Pat Gelsinger stated, “Hybrid cloud is all about bridging the line of business needs and IT needs” – I believe this is a goal of most shops. It was also quite nice to get some time with Pat and my fellow vExperts for a brief chat on the announcement and a quick photo opportunity. He made a point to make sure we all had some input and obviously is well versed with the vExpert program, which is a very awesome thing to behold. I work for a MSP that is timid of the cloud (I’m not so much, but they are) granted in our area the ISP is not that great. Are you aware can we migrate back and forth? Moving applications, etc out to the private cloud and if customers decide to stop using our services migrate it back down to our environment for temporary storage or offloading of data? vCHS does allow migrations back and forth from on premise and back again. There is also an offline transfer service you can use if you decide to simply terminate your subscription and need assistance. Great! thanks so much for the quick reply. I watched your course on TrainSignal and have thoroughly enjoyed reading your blog. I’m about to start my journey to VCP and will be starting a blog to kind of catalog the process to help future folks. Thanks for all the great information!